Marker is the only manufacturer that makes a non-touring binding that accommodates AT and alpine boots safely: the Lord SP Ski Binding. The burly, made-for-ripping Triple Pivot Elite toe features a pin system that you adjust for AT or alpine boots. Finer adjustment is made with the AFD plate. Because some people don't like their touring bindings unless, well, they're touring. 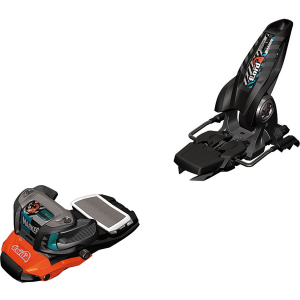 These designated downhill bindings are lighter than the AT bindings, and most time burlier for harder-charging descents. So when you can handle specialized bindings, rather than making a compromise when inbounds, you do.